Like many diesel truck owners, you are most likely always wanting to improve your diesel performance. Luckily, there are many tools at your disposal to help make your truck run more efficiently as well as stronger. Whether you’ve been making efficiency modifications to your light duty truck for a long time, or you’ve simply just started, a quality intake is most likely something you’ve been thinking of integrating into your diesel performance plan. Diesel air intakes for performance enhancement is no big secret but installation of the right one on the correct model can make a difference. Quadzilla intakes are one of the most popular, and when you see green, you understand are you are taking a look at a Quadzilla intake as they use green solely. All Quadzilla Intakes are constructed from steel and are powder-coated wrinkle black. Quadzilla is considered superior to other brand names for a variety of factors consisting of the green woven cotton that wears much better and has much better filtering capabilities. Many competitors use up to 7 layer filtering system, Quadzilla utilizes a simple 2 layer system, which clearly allows for more airflow. With Quadzilla you can see up to 35 horse power gain, which is rather amazing. AFE Trueflow is another diesel air consumption that you might want to check out. If you are tired of changing your paper air filter, AFE Trueflow may be just what you are looking for. This air intake filter involves five cotton gauze layers and 2 non-woven artificial layers. With the AFE Trueflow, you’ll take advantage of high filtration and a long service life. The AFE Trueflow has been particularly developed with the Chevy Duramax, Dodge Cummins, or Ford Power Stroke in mind that run under sturdy work conditions. This is absolutely a terrific buy, and a brand name you can believe in. Naturally, when you mention diesel intakes, the Banks brand is one that fits right in. Banks actually has developed a series of intakes that will enable your engine to boost efficiency by stabilizing the air and fuel ratio resulting in safe engine temperature levels, engine sturdiness, fuel effectiveness, and effective performance. Banks has a theme of “First Air, Then Fuel” and this carries over to their intakes, which will enhance your performance whenever. When you match their intakes with power chips, you’ll discover that you have a fantastic combination to work with! Bully Dog is yet another apparent choice for a diesel air intake option. Bully Dog cold air intakes provide more oxygen for more power, in every truck, every time. Diesel performance is definitely impacted by air intake, so if you have not already, you ought to think about the intakes listed above to deal with your diesel tuners, diesel chips, and even your diesel exhaust to improve your efficiency a lot more! You’ll be surprised at what the ideal air intake can do for your truck. Whether you’ve been making performance modifications to your light duty truck for some time, or you’ve just begun, a quality intake is most likely something you’re wanting to include into your diesel efficiency strategy. So in conclusion, Quadzilla diesel air intakes are some of the most popular, and when you see green, you know are you are looking at a Quadzilla intake as they utilize green exclusively. AFE Trueflow is another diesel air intake that you may desire to look into. 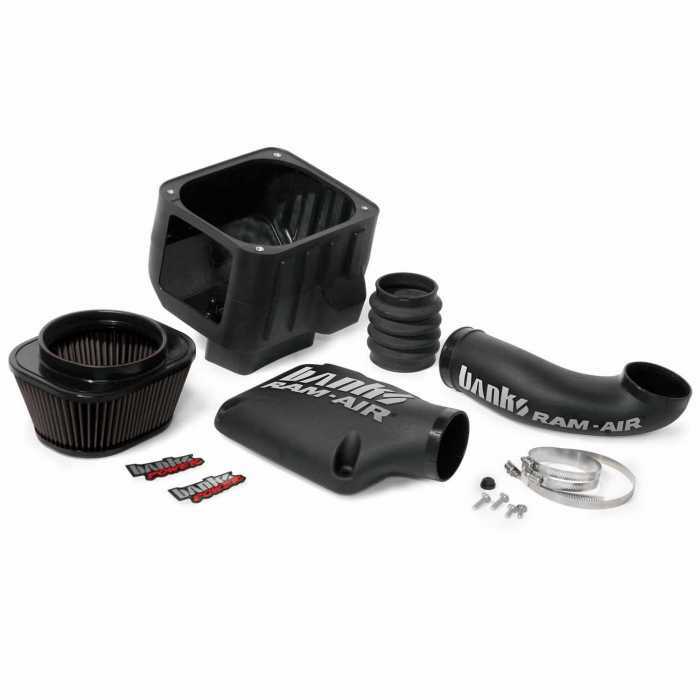 Banks actually has an established a series of intakes that will enable your engine to optimize effectiveness by balancing the air and fuel ratio leading to safe engine temperature levels, engine durability, fuel performance, and powerful performance every time. Bully Dog is another of the obvious options for a diesel efficiency air intake option. You can order any of these highly efficient intakes through our parts department or schedule an appointment for installation.